My first trip of the year is planned and booked. This trip is unique in the fact that I have never planned a trip so close to my departure time. This trip was part of another trip I was going to take in the Fall of 2014 but got canceled because the company I worked for went out of business. I was left with the decision of either going on the trip or paying my mortgage… decisions decisions. I won’t lie – I would have rather gone on the trip. For my spring trip I took my two week trek to Colorado and Southeast Utah from last year and cut it in half. We will be going to southeast Utah and the western side of Colorado. I am hoping that I can save enough money during the summer to take the second part of the trip to Colorado stopping in Black Canyon of the Gunnison and Fort Collins…. and The Great American Beer Festival in Denver!!! Where I will most likely need to be supervised as that much beer will be overwhelming! But until then we will focus on our Spring Utah trip. We will be starting out with a day driving thorough Idaho, heading to Montana, stopping in my beloved Missoula Montana for the night. Our next day heads back into Idaho with a few stops and ending the day in Park City Utah. I have a friend who is house sitting in Park City so I will have someone to hang out with for a day of my trip – which is a rarity. From there Boomer and I will head over to Dead Horse State Park. As Boomer will be with me, we will be hitting up some state parks and BLM (Bureau of Land Management) areas as they are more dog friendly than the National Parks. Boomer and I will be able to walk around Dead Horse with him on leash, so he will be excited about that. 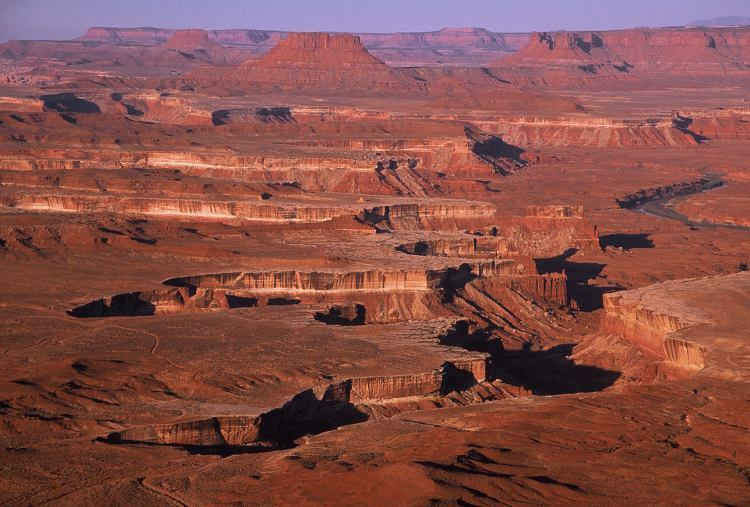 Image Credit: “CanyonlandsNP GreenRiverOverlook” by Phil Armitage – http://www.philarmitage.net/canyonlands/canyon4.html. Licensed under Public Domain via Wikimedia Commons. 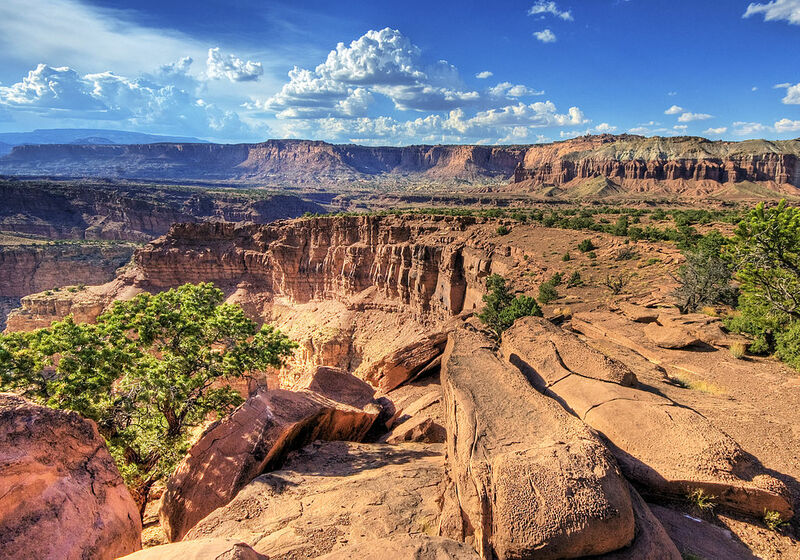 I will also be heading into Canyonlands National Park. I debated this one quite a bit but it would be the only one of the Mighty 5 National Parks I did not visit and I know that it would eat at me. So Boomer and I will do a quick auto drive as Canyonlands seems to be the least dog friendly National Park out of the lot we will be visiting. 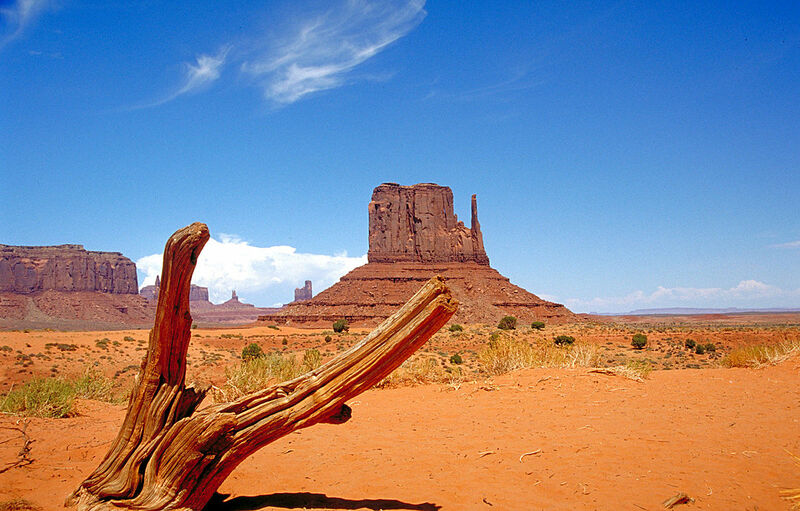 Our next day will be in Moab and Arches National Park. Boomer will be day boarding at a local facility while I check out Arches. Although I would prefer to have him with me he is not welcome in much of the park and it is safer for him to be boarded. I decided only to spend a day in Arches so I will be picking up Boomer in the late afternoon and we will head down to Cortez Colorado for the night. The following day Boomer will spend a few more hours day-boarding while I check out Mesa Verde. But don’t feel too bad for him because I will pick him up and take him to Hoovenweep National Monument, where he is welcome to walk around while on a leash. The next day we will head to Arizona, checking out Monument Valley and Horseshoe Bend, both dog friendly spots. We will spend the night in Page and get up early the next day. Boomer will be day-boarding for the last time here while I take a tour of Antelope Canyon. I am looking forward to photographing these famous slot canyons so here’s hoping the weather is sunny! We then head to Grand Staircase Escalante. This was a spot that I wanted to explore more during our last visit to Utah but since they were having some monsoon weather we were not able to do much. This land is owned by the BLM which comes in handy as Boomer will be allowed most places while on leash. The only restrictions I have found are the slot canyons on the east side and although beautiful if I do not have to board Boomer then it works out well for both of us. Me with my guilt and him with being stuck in a kennel. Our next day we head to Capitol Reef National Park, where we will take a scenic drive and walk in the orchards as pets are allowed there. We will also be stopping at Goblin State Park, which I am pretty excited about visiting here. The park is covered in “goblin” sandstone formations and looks like how I would picture the landscape of Mars to be. The next morning we will start heading back home, stopping in Jackson Hole Wyoming. We will be spending two nights here. My family and I visited here a lot as a child so it will be fun to check out the sites again as an adult. I will be visiting the Million Dollar Bar and checking out some breweries. 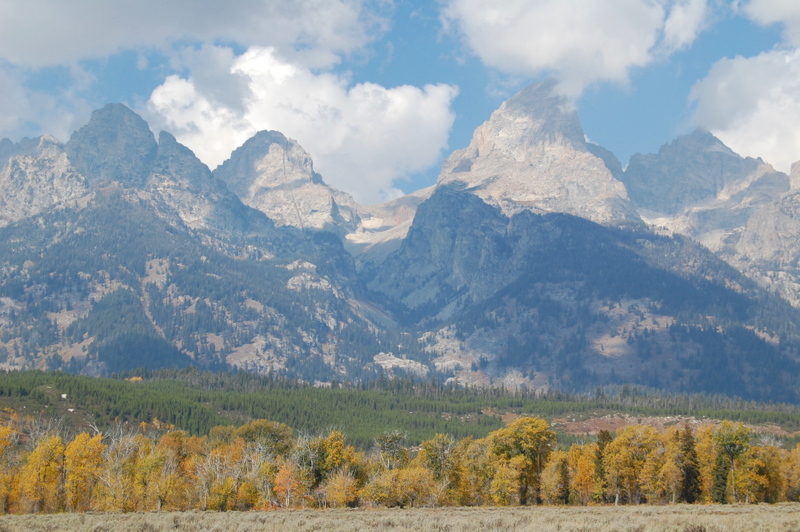 While there I will also drive up to Grand Teton National Park and snap some new photos. My previous photos were disappointing (seen above) as Idaho was on fire and the smoke filled the valley preventing me from getting a clear photo of the Teton Mountains. The last leg of this trip will be heading through Yellowstone, but instead of going the Old Faithful route we will be heading north to see the Yellowstone Grand Canyon, Yellowstone Falls and Mammoth Hot Springs. And there you have it, our spring 2015 trip. Buddy will be staying home for this trip. I would like to test out how he does with longer term travel first before I take him on an 11 day trip. He is 12.5 years old and it could be pretty rough on him being in the car for that long. I do have some shorter trips planned for him and Boomer this summer that I am hoping to be able to take so he will be hitting the road for some summer fun!